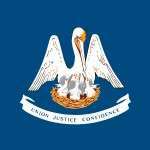 Louisiana Poker – Is Online Poker Legal in Louisiana? Louisiana is a mixed bag when it comes to its poker action. Like most states there are some things poker players can do… and… things poker players can’t do. If you read this whole article you’ll hopefully be able to differentiate between the right’s and the wrong’s, especially since avoiding the latter could help you avoid to jail sentences of up to 5 years and fines in upwards of $20,000. So read on for more details. Fun Fact: People that support themselves by gambling are guilty of vagrancy under Louisiana law. Want to host or play in a home poker game? You cannot charge to play. That doesn’t mean you can’t win money off your buddies. That’s perfectly fine. What you can’t do is rake the pot, or charge a tournament fee. (a) Gambling is the intentional conducting, or directly assisting in the conducting, as a business, of any game, contest, lottery, or contrivance whereby a person risks the loss of anything of value in order to realize a profit. (b) Whoever commits the crime of gambling shall be fined not more than five hundred dollars, or imprisoned for not more than six months, or both. According to this statute the punishment is $500 and/or up to 6 months in jail. However, other Louisiana statutes say that if you’re charged with running a gambling ‘business,’ you can face up to 5 years in jail and up to $20,000 in fines. Either way – you’ll want to make sure not to charge to play in your game. Don’t even charge for sodas. Few states have internet gambling legislation – either for it or against it. Louisiana is one of them, and their laws prohibit online gambling. D. Whoever commits the crime of gambling by computer shall be fined not more than five hundred dollars, or imprisoned for not more than six months, or both. According to the Attorney General this statutes applies to businesses, but not gambling between players. The bottom line is online gambling in Louisiana is illegal. Even if it’s just applicable to operators, is that something you want to be associated with? It is still possible to sign up to and play at offshore poker sites. You just have to find one that accepts customers from Louisiana. There is no shortage of live gambling options in Louisiana. Every game imaginable is available – slots, blackjack, let it ride, pai gow poker, 3-card poker and more. There are more than 20 poker options, too, including Texas Holdem, Omaha and 7-Card Stud. Other than the casinos you also have the option of the state lottery, race tracks and charitable gaming which hosts casino nights, raffles, bingo and keno. There are definitely tons poker playing to be done in Louisiana, provided you’re willing to leave your house. What Does the Future Hold For Louisiana? Experts suggest we might see online legislation by 2018-2019. One might argue that it’s a long shot since Louisiana already has anti-online gambling legislation. But I would argue Colorado does, too, and it sounds like they’ve changed their tune for the better. There’s no reason to think Louisiana can’t do the same.